Dubai: Off-plan sales are blooming once again in Dubai - March’s tally of 1,845 units handily beats the 1,713 transactions registered with Dubai Land Department in February. More importantly, these two months are way better than any monthly tally since May 2018 (when 2,007 units got transacted). The buying momentum is prompting developers to bring forward their launch or new release schedules. Sobha Realty, in fact, has now released all 390 units in its second high-rise - part of a twin-tower project - in Mohammad Bin Rashid Al Maktoum City. Base price is Dh820,000 as against Dh796,195 at the first tower. This comes just weeks after the first tower’s units were launched and got sold out, according to the developer. The Creek Vistas project is scheduled for a Q3-2021 completion. The buying momentum is prompting developers to bring forward their launch or new release schedules. And foreign investors too remain active in the market - a two-day tour of Dubai organised last month by one of China’s leading real estate portals, uooulu.com netted nearly Dh20 million from the sale of 15 units. There were 40 members in the travel group. But for a two-day tour to net Dh20 million does bode well, with more developers and estate agents here working to get their China sales pitch right. Even established locations are feeling the return of the off-plan buyers’ interest - Downtown is one such location, and so is Arabian Ranches, where a new set of homes went on sale and managed a fairly robust response. So what explains the Q1-2019 resurgence in sales after what was an exceptionally difficult 2018? Are the stretched post-handover payment plans finally hitting their mark vis-a-vis buyers? “Yes, the resurgence has been brought on by the payment plans - especially in those areas such as Downtown where aggressive post-handover plans were not so prevalent,” said Sameer Lakhani, Managing Director at Global Capital Partners. “A most recent example of that being the Forte Tower. “The numbers for the coming months should be looking as healthy; sales such as those of the recent Arabian Ranches’ units are yet to be registered. 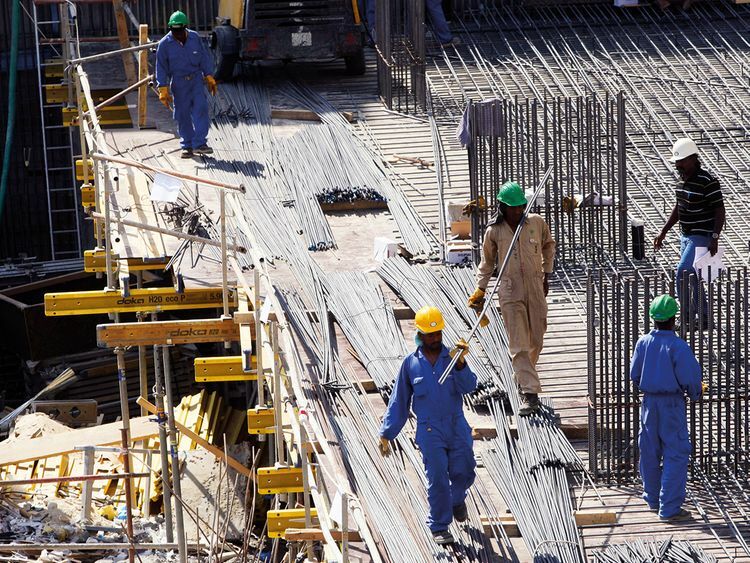 The offplan momentum should continue until Ramadan (in May-June)… at the very least.” (Offplan sales registered during March recorded a value of Dh2.78 billion, slightly down from February’s Dh3.07 billion, according to Reidin-GCP data.) Post-handover payment plans continue to average three to five years with most of the leading developers. Some have been testing what the response could be for periods that go all the way to eight and 10 years, and in one instance, even 15 years. In March, the best performing locations were a mix of the new and the old. The Dubai Hills Estate community, which has reached key project milestones and will see the opening of a new mall this year, had 829 registrations in the year to end March, while the Downtown came second with 609 units, and Business Bay with 407. What the market wants to see now is whether developers will maintain the place of new releases, or wait until current demand absorbs quite a bit of the stock that was released in the last six months. Because for developers with completed projects will also need to ensure they sell off all units within three years of completion. If not, those units will be subject to the 5 per cent VAT regime. Now, that’s a cost developers will not want to be carrying. 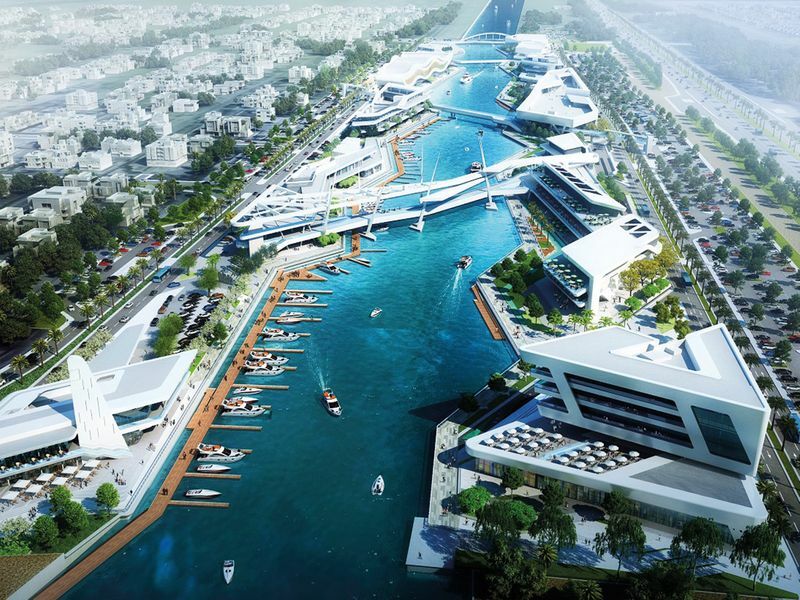 The “Al Qana” waterside destination in Abu Dhabi’s famed Khor Al Maqta area is on track for a Q4-2020 opening. It will comprise of seven districts set around a 2.4 kilometres of waterfront walkways.